Heeft u een vraag voor The Fantasy Apartment? Goed gelegen in Hualien stad, is The Fantasy Apartment het ideale vertrekpunt voor uw excursies in Hualien. Met haar locatie op 1.9 km afstand van het stadscentrum en 9.5 km van het vliegveld, trekt deze 2-sterren accommodatie jaarlijks vele reizigers aan. Dankzij de praktische ligging, biedt de accommodatie eenvoudig toegang tot alle belangrijke trekpleisters van de stad. Niets is te veel voor The Fantasy Apartment om het haar gasten naar de zin te maken. Zo biedt deze accommodatie de beste services en voorzieningen. Enkele voorbeelden van voorzieningen die de accommodatie biedt, zijn gratis wi-fi in alle kamers, boodschap bezorging, post service, taxi service, bagageopslag. Ervaar kamerfaciliteiten van hoge kwaliteit, inclusief plasma tv, luchtverfrisser, schoonmaakproducten, oploskoffie, thee, om na een lange dag tot rust te komen. De accommodatie biedt talrijke recreatieve mogelijkheden, zodat u voldoende te doen heeft tijdens uw verblijf . 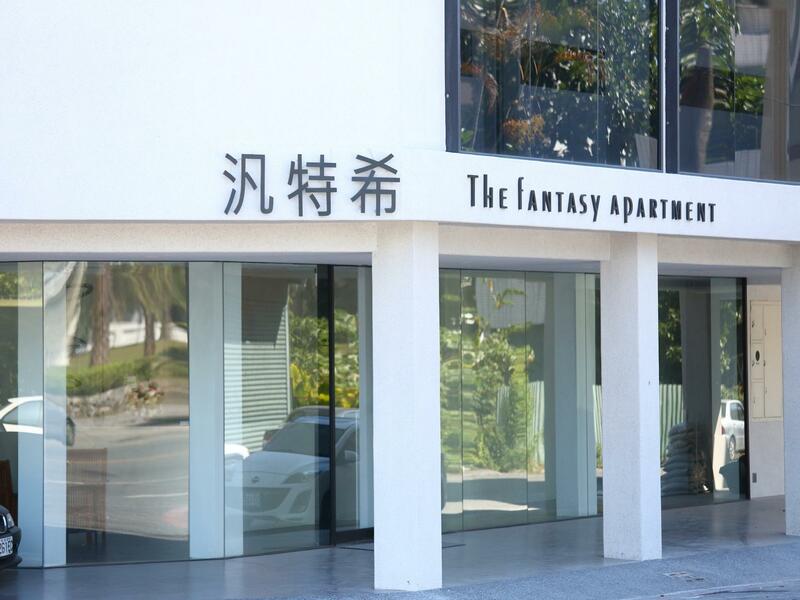 The Fantasy Apartment is een slimme keuze voor mensen die naar Hualien reizen, een ontspannen verblijf is gegarandeerd. Stylish, clean space located within a short walking distance from Hualien train station. Very informative and humorous male host greeted us upon our arrival and made several meal recommendations, complete with a map. Room has been well-equipped, spacious and clean. We had a good night's rest. Great VFM and definitely recommended! Liked: whatever is mentioned in the title. Didn't like: had to pay by cash & had to request for receipt as they don't issue one automatically. No staff around after 8pm. No phone in the room but encouraged to add the boss LINE account in case of any issues? First thing first, the owner, Xuan Ren, is an AWESOME man! He was sooo friendly and helpful. He speaks very little English but Google Translate helped! It’s a new hotel, it is clean and the facilities are very modern. However, the sound proofing is pretty bad. There was a LOUD family staying one floor above us and we could hear all the kids’ yelling and laughing. The owner should really remind the guests to keep their voice down at night or do something about the sound proofing. About the location, it’s a 5-min walk to the Hualien train station and Hualien bus stop so it’s super convenient to travel in and out the city, and to visit Toroko Gorge. However, it’s pretty far away from almost everything else in town but you can rent out a motorcycle or a bicycle to travel around. The traffic is pretty calm there. owner is really friendly and offered us watermelon to eat as it was summer and really warm! he also has a list of food recommendations which was amazing! only down side is that 1 of room with the round bed has no bed backing, to lay back. And the batharea is fully glass, and has no curtains. No issues with glass, however, u sleep facing the bathtub which is kinda weird. We have chosen one of the most expensive rooms in this hotel, and we didn't miss out. This 2 star hotel has everything you need, and everything that most 4 star hotels have. It's brand new, stylish, clean and conveniently located next to the station. On one hand you would still need a scooter to move around, so proximity to other places doesn't really matter, on the other hand distance to the train station eliminates the need for a taxi. Most rooms have no windows, some have very weird style, so be careful when you choose your room. Superior Double where we stayed is amazing. Huge windows with mountain view, lots of space, huge bathroom and a massive bed - everything is there to make your stay a treat. We checked in late at night and the guy at the reception spoke no English at all, instead he had a print out of what he was saying in Chinese as a contingency. Without my Taiwanese friend, the check in experience would have been really clumsy. Apart from that, the receptionist was really friendly and gave lot's of useful tips (in Chinese), there is a little self service kitchen behind the reception with tea and coffee and... free whisky! Overall, highly recommended. Staffs are very friendly and helpful and make our stay very warm especially Ms Molly. She help us to book Taroko tour, call taxi, suggest places to visit in city and even offer us fruits when we return. She also offer us water when we leave the apartment as the weather was very hot. Location is near the train station with a short walk. Room is clean except no window but doesn't matter when return room will draw curtain. When open the main door can see the street and other building. Excellent! Within walking distance from train station. Fast check in and check out. Front desk very helpful and friendly. Breakfast served next door and food available with in walking distance. Room was very nice and great romantic get away. Will definitely stay here again. I had a great stay at the apartment. The staff and owners were all very helpful and provided all the necessary information and recommendations. It is near to train station, car rental shops, and some food options. It is a bit of a distance from the city centre but it was easy to get cabs back and forth. The hotel is about 5mins walk away from the train station and about 10mins walk to their shopping district. It is located opposite the hualian library for easy identification. The staff offered us a slice of tiramisu upon arrival and it was specially made by the boss. The room was big for two person but we would prefer more table space to place our belongings. They also helped us arrange for our day trip driver to taroko gorge and various other attractions. Do have breakfast at the local cafe next to the hotel, they serve great sandwiches! My mom and I stayed in this hotel for 2 nights, and we are so impressive on the facilities, everything is brandly new and in line with the photos. And the hotel owner is so friendly. They prepared a visitor map for reference and guide you to the room. We got a free drive by laoban's friend. That's so sweet. BTW, it's close to the railway station, very convenient. We loved our stay in the fantasy apartment. The room was cleaned daily, the view was spectacular and the owner was super helpful and friendly. His English is limited, but he still tried his best to help us. Providing us with a custom map of the local area upon checking in, with highlighted places he recommended to eat at and visit. Anything he didn't know how to say to us in English, he pulled up on google translate to make sure we wasn't missing out on anything during our stay. He surprised us one afternoon with some oiled scallion pancakes after we came in from a morning tour of Toroko Gorge! The pancakes were amazing, and the store is highlighted on the map he provided us with. Can not praise the owner and his customer service enough! I would 100% recommend staying here. It's a 2-minute walk to Hualien Train station and about 30min walk to the local night market or 10minute by taxi.